Museums are the keepers of a nation’s treasures. They collect, preserve and archive rare and, many times, one-of-a-kind items. Some of these items are of interest to miniature architecture fans. 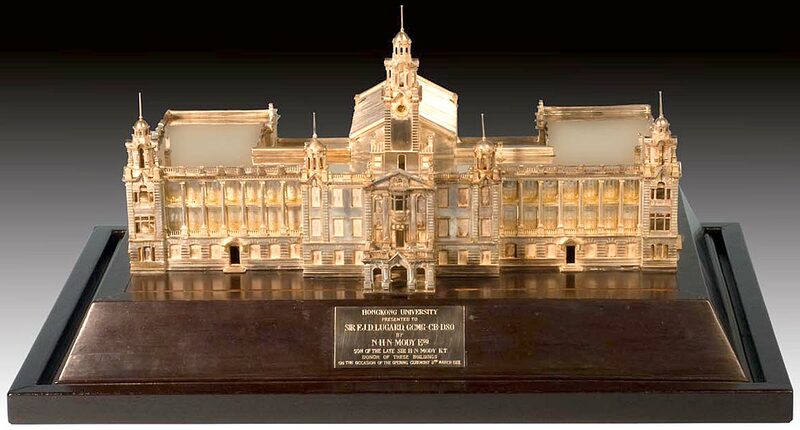 The University of Hong Kong (HKU) exhibited some of their collections last year including a replica of their Main Building. 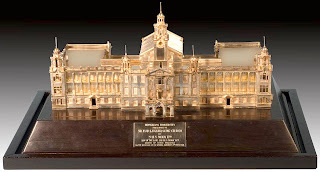 The 1912 silver model is finely detailed and sits on a wooden base with a plaque on which is written, “Hong Kong Univeristy Presented to Sir F.J.D. Lugard, GCMC-CB-DSO by N H N Mody Esq. son of the late Sir HN Mody donor of these buildings on the occasion of the cutting ceremony 11th March 1912.” The Sydney Opera House has been reproduced as tourist souvenirs countless times and in various sizes and materials. 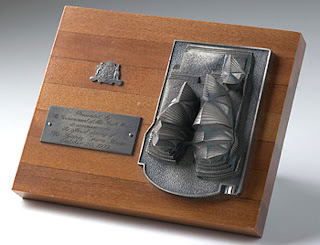 A metal miniature copy of the Sydney Opera House on a polished wooden base is one of the first, according to the National Museum of Australia. This rare replica was presented to the President of the New South Wales division of the Arts Council of Australia, Justice Rae Else-Mitchell, by the Government of New South Wales to commemorate the official opening of the Sydney Opera House on 20 October 1973.